There is a lot of discussion in the press about Big Data. Big Data is traditionally defined in terms of the three V’s of Volume, Velocity, and Variety. In other words, Big Data is often characterized as high-volume, streaming, and including semi-structured and unstructured formats. Hadoop and streams, healthcare organizations are in a position to harness this Big Data to reduce costs and improve patient outcomes. However, this Big Data has profound implications from an Information Governance perspective. 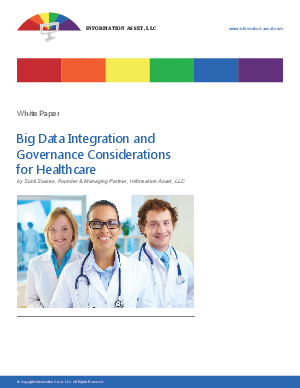 In this white paper, we discuss Big Data Governance from the standpoint of three case studies.